Popcorn ceiling removal in Palos Verdes CA makes your property safer and more attractive. This last point should be particularly convincing in your decision to get popcorn ceiling removal in Palos Verdes CA. When an asbestos-containing material such as a popcorn ceiling becomes damaged, it can release asbestos fibers. If you inhale these fibers too often or in large quantities, they can get stuck in your lungs and potentially cause cancer. When asbestos-containing materials are in the ceiling, the situation is especially worrisome because the dust will immediately become airborne. It is more likely to get breathed in than dust that is sitting undisturbed on the floor. As a 20-year veteran of the industry, AQHI Inc. makes an excellent choice of contractor for your popcorn ceiling removal in Palos Verdes CA. We will get rid of all the “popcorn” without allowing dust to contaminate your property. We can do this because we always seal the work zone before touching the ceiling, we continually filter the air leaving the work zone, and we follow industry best practices for cleaning the room after work is complete. All too often, clients face unexpected upcharges in the course of asbestos removal projects because the contractor has not included disposal in their price. This won’t happen when you work with AQHI Inc. because disposal is already included in our estimate for popcorn ceiling removal in Palos Verdes CA. Because we don’t have to contract out for disposal but have the licenses to handle it ourselves, you end up saving money. 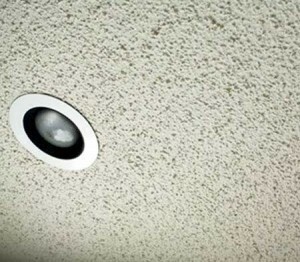 Expert popcorn ceiling removal in Palos Verdes CA is just a phone call away. You can reach us at 800-481-8080 to request service. Our asbestos removal office for Popcorn Ceiling Removal in Palos Verdes CA is open Monday through Friday between 8:00 AM and 5:00 PM and closed for lunch from noon to 1:00 PM. With advance notice, projects can be scheduled for weekends, early mornings and evenings.